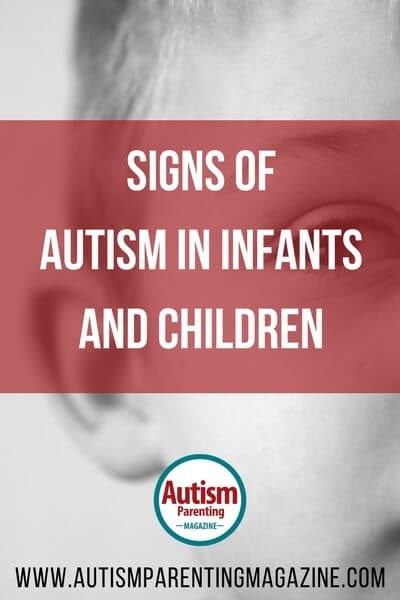 Early signs of autism spectrum disorder (ASD) can be detected in infants, yet many children with autism do not receive a diagnosis until the ages of two or three years old. While not every autistic baby can be diagnosed, there are many benefits to receiving a diagnosis before preschool age. According to the Center for Disease Control (CDC), an autism diagnosis can be appropriately given at the age of 18 months or even sooner for some babies. Doctors will typically do a screening for autism spectrum disorders at the 9 months, 18 month, 2-year, and 3-year wellness checkups. The earlier an infant is diagnosed with autism, the sooner interventions can begin and the best resources can be identified. When can my child be diagnosed with autism? Many children with autism, however, do not receive an official diagnosis until they reach the age of two or three years old, usually, after the child has already begun preschool and social interactions have become more obviously strained. It is never too late to be diagnosed and begin identifying resources to help make life with autism easier. The earlier a child is diagnosed (especially in his/her formative years of development) the sooner the child can begin to benefit from selected therapies. What are the signs of autism in babies? Toddlers with signs of autism generally exhibit a progression of the symptoms expressed during infancy. Babies who did not make eye contact or lacked a connection with the caregivers will typically carry these symptoms into toddlerhood. Autistic toddlers may express frustration via tantrums or outbursts, but it is important to remember that this sign of autism is not usually a power struggle as it might be for a neurotypical toddler. Rather it’s an expression of very real frustration, fear, or pain that the toddler is attempting to communicate. Establishing a plan with your toddler’s pediatrician to ensure he/she is granted access to resources as soon as possible is crucial in making sure your child reaps the benefits of early intervention therapies. 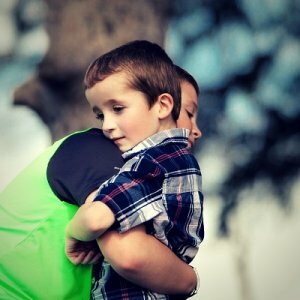 Autism presents itself differently in toddler boys versus toddler girls, and as a result, boys will often receive a more accurate diagnosis more quickly than girls. What are the early signs of autism in toddler boys? As they begin to integrate with their peers at nursery school or daycare, symptoms may be exacerbated. 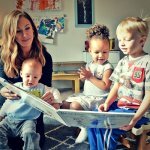 Toddler boys may also have pronounced difficulty connecting with their caretakers. Symptoms noticed as a baby, such as poor eye contact and a lack of engagement in play, may evolve into aggressive or apathetic relationships with caregivers. Additionally, sensory dysregulation is often harder for a toddler to manage as they are introduced to more intense stimuli that neurotypical children enjoy. Examples include birthday parties or group outings. Toddler boys generally have more access to resources and care than their under or misdiagnosed female peers, and it is important to take advantage of these resources as soon as possible. How do I know if my toddler girl is autistic? According to child behavior specialists at the Cleveland Clinic located in Ohio, only one in three children diagnosed with autism is female. Only one girl to every nine boys diagnosed with high functioning autism or Asperger’s syndrome. Doctors are beginning to realize, however, that instances of autism in females are not necessarily less common, but rather misdiagnosed as social communication disorders or developmental disorders. A study of 300 girls by the Cleveland Clinic suggests that autistic females are less likely to exhibit “classically male” symptoms such as restricted interests, and often have more pronounced difficulties in social situations, episodes of intense aggravation, and are more likely to self-injure. These girls are often labeled as having developmental delays, but without the diagnosis of autism, their access to resources and care become limited. The Cleveland Clinic recommends being proactive and seeing your pediatrician if you notice signs your daughter is autistic, especially if she is in between regular check-ups. Children diagnosed with autism as a toddler may already be working with a care team to manage their symptoms, but school-aged children can begin similar therapies at any time. Some of the foundation skills autistic children with limited communication and/or verbal skills that may be taught are non-verbal communication, including basic signs or drawing or writing to communicate. When should I ask my child’s pediatrician about autism? During checkups, your child’s pediatrician will assess for developmental progress. In between appointments, however, you may notice that your child is not developing similarly to his/her peers. He/she may not engage with you the same way other babies engage with their parents, or he/she may exhibit other symptoms listed above. If you feel something is amiss, consult your child’s pediatrician to run a series of diagnostic exams. These exams are non-invasive and will often include a behavioral and developmental assessment as well as a questionnaire for you and other caregivers in your child’s life. Some parents find it helpful to keep a list of symptoms they suspect may be linked to a potential autism diagnosis and track the frequency of instances each behavior occurs. This kind of documentation will give your child’s pediatrician a better idea how long your child’s symptoms have been persisting and at what frequency. Most infants with autism will develop skills late—or might even regress in their social skills and sensory processing. If your doctor is unsure if a diagnosis of autism is appropriate for your infant, the CDC recommends seeking a second opinion, as the earliest interventions can serve as building blocks for your child’s future therapies. They also suggest acting early as interventions can change your child’s developmental path and improve outcomes in school and relationships. The CDC cites that in the first three years of a child’s life his/her behaviors are most malleable and that children are more likely to change undesirable habits and adopt positive ones most willingly during these years. They suggest trying several interventions until you find one (and a therapist) that your child responds to best. What are the early interventions for ASD? Your pediatrician will be able to help you coordinate programs and strategies that will work best for your child, as well as act as the head of your child’s treatment team. He/she may suggest incorporating a psychologist, psychiatrist, occupational therapist, recreational therapist, or even trying holistic approaches such as yoga. Interventions for babies with autism usually takes the form of play therapy. One model that has been used is the Early Start Denver Model (ESDM) which is a relationship-based program that encourages positive feedback, shared activities, and parental involvement. The ESDM program is usually led by a therapist and can be started when a child reaches one year of age. Children participate in 20 hours a week of therapy in addition to structured playtime with caretakers at home until the age of four. In one study, children who participated in ESDM were given an electroencephalogram (EEG) while they looked at pictures of human faces expressing emotion. Brain activity for these children was higher than their autistic peers who did not receive ESDM. In conjunction with the ESDM, many families opt to use Applied Behavioral Analysis (ABA) which also encourages a positive reward system and parental engagement with the program. Applied behavioral analysis can be continued throughout a child’s schooling and be adapted to his/her current social and behavioral needs. For example, ABA addresses daily tasks and reactions that a child may encounter, such as responding to a lunch he/she does not like and progresses with the child until he/she has the skills to make a healthy lunch that will be enjoyed. The program often includes family members in therapy sessions to practice skills in a safe, controlled environment before bringing them into the home. ABA has received the endorsement of the U.S. Surgeon General as well as several state health departments. Additional therapies that can be integrated into your child’s care plan may include Picture Exchange Communication System (PECS), Verbal Behavioral Intervention (VBI) Discrete Trial Training (DTT), and Pivotal Response Training (PRT). PECS is ideal for children with limited or no verbal skills as it teaches children to communicate via pictures and symbols to express their needs and carry on a conversation. 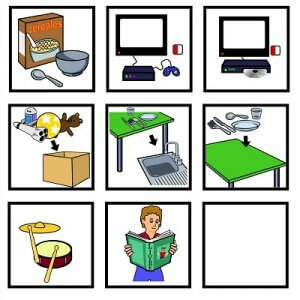 VBI is also used with children who struggle with verbal skills, but instead of communicating with pictures, it focuses on teaching verbal skills. 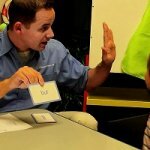 DTT and PRT focus on behavioral and motivational challenges a toddler with autism may experience. DTT breaks problems down into a series of step-by-step decisions a child can make to solve a problem. Incorrect answers are typically ignored while correct answers and behaviors are praised. PRT builds upon these skills and focuses on developing a child’s motivation to manage behavior, communicate with others, and learn both in and out of the classroom. While autism is most often diagnosed when a young child hasn’t meet popular milestones during the formative years and/or when a child’s development has suddenly regressed, some experts believe there are signs that point toward an autism diagnosis earlier in a child’s life. While not everyone who is autistic can be diagnosed as an infant, there are many benefits to receiving a diagnosis before reaching preschool age. If your child is exhibiting signs of autism, even minor ones, be sure to document them and share your concerns with your child’s physician. The earlier a child with autism is diagnosed, the sooner families and specialists can work with the child using popular interventions and selected therapies.